I love London! 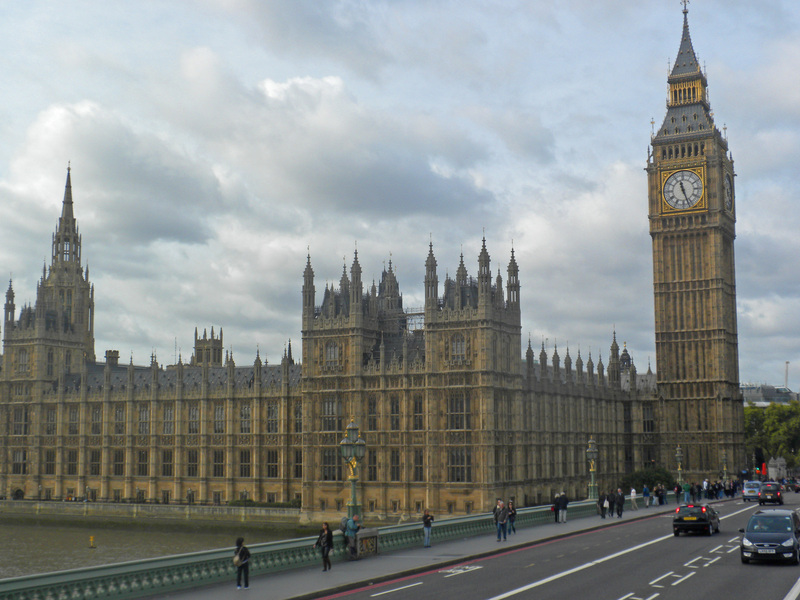 I have wanted to go to London for years and I was worried that my anticipation was setting me up for disappointment, but it didn’t! 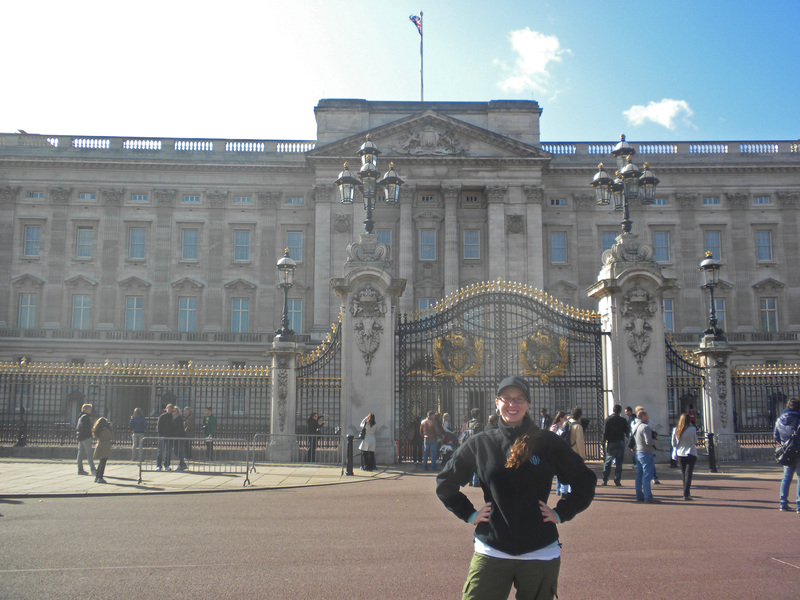 We only spent one day in London but I could have easily stayed for a whole week. Every time I hear a reference about Big Ben I think of National Lampoons European Vacation when Carl Griswold is stuck in the traffic circle and can’t get out. 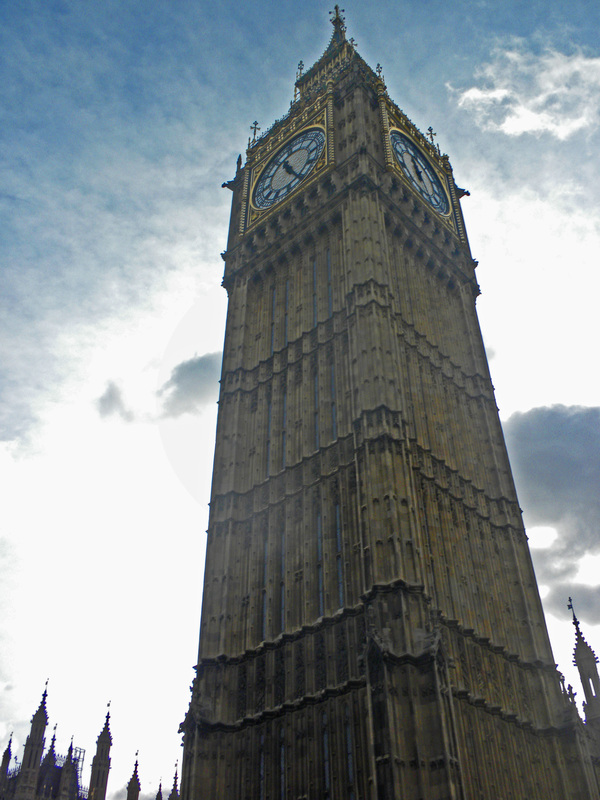 Hey, look kids, theres Big Ben. 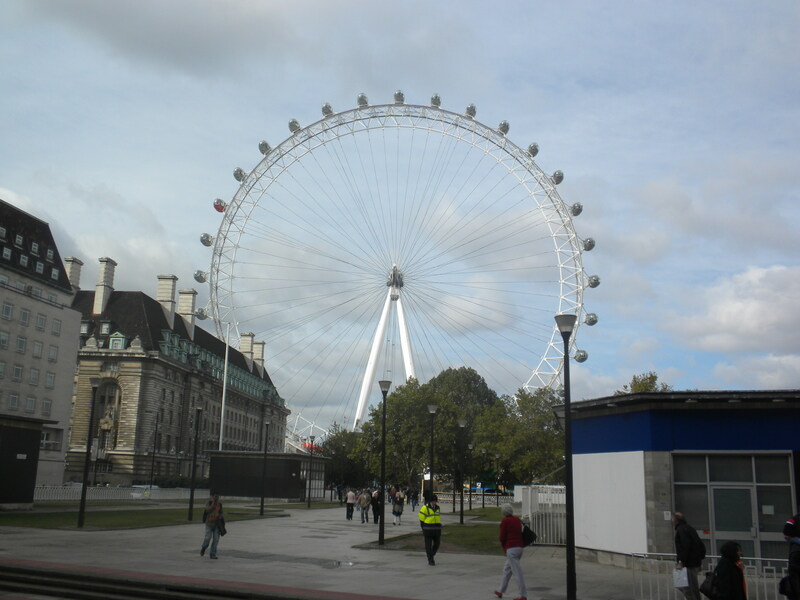 The London Eye. We wanted to take a ride but we didn’t have time. It takes a full 30 minutes to go all the way around and you can see almost the entire city. 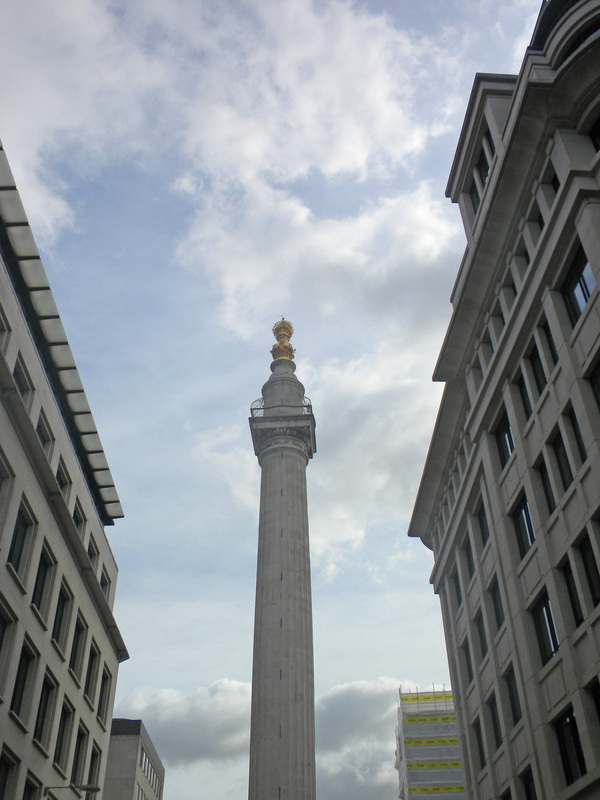 This is the Monument to the Great Fire of London in 1666. 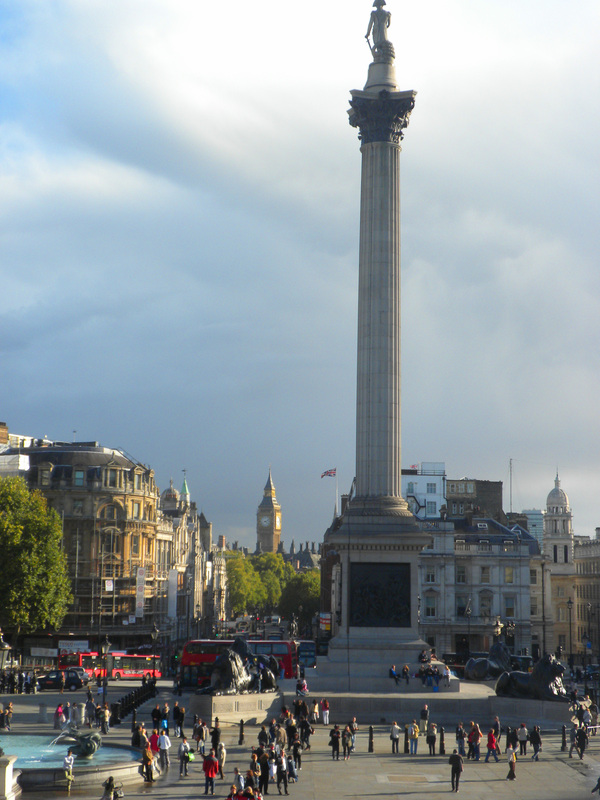 The fire burned for four days and nights and consumed most of London. As disastrous as it was, it also killed off the rat population which was spreading the plague. 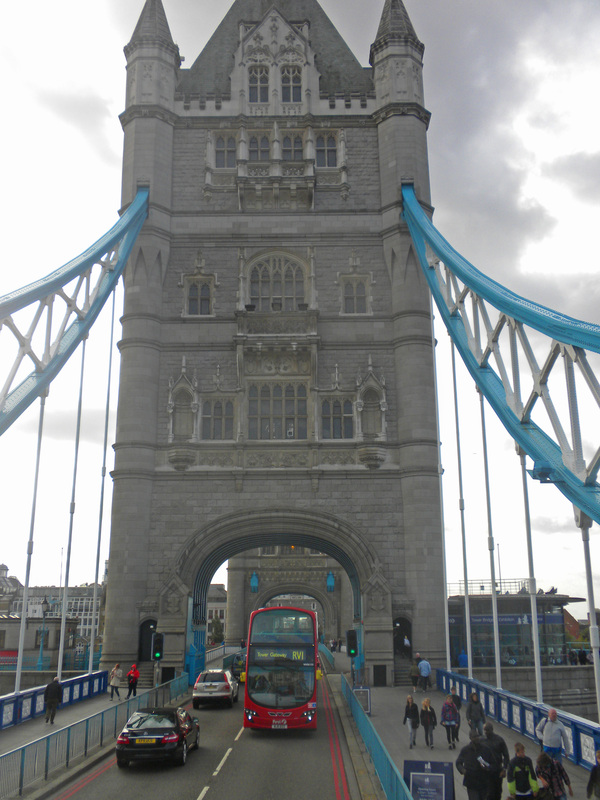 The tower bridge is so pretty with its bright blue supports. 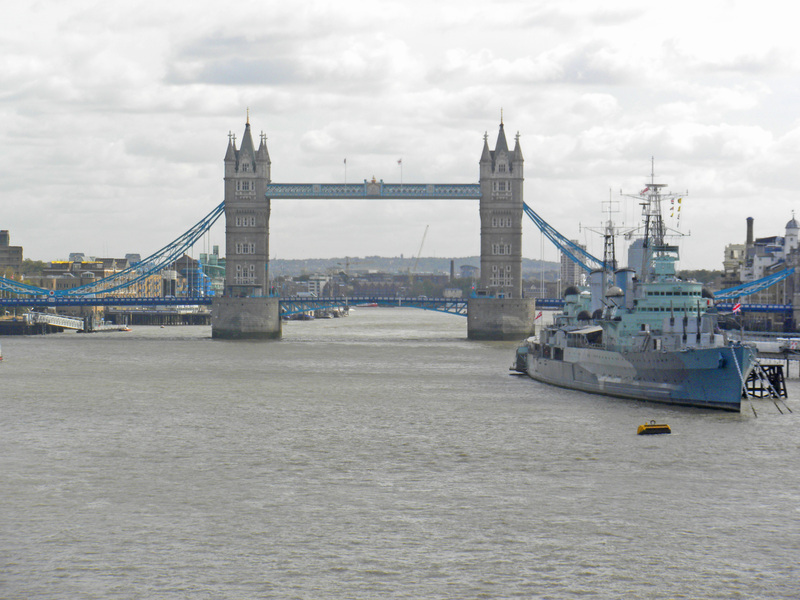 Before I came to London I thought the London bridge and the Tower bridge were the same thing, but I was wrong. The London bridge is not nearly as pretty as the Tower bridge so I didn’t bother taking pictures of it. We also stopped at Buckingham Palace where Todd and Rebecca recreated the kiss from the royal wedding. I wanted to see the changing of the guard but that only happens every other day at 1130 so we missed it. 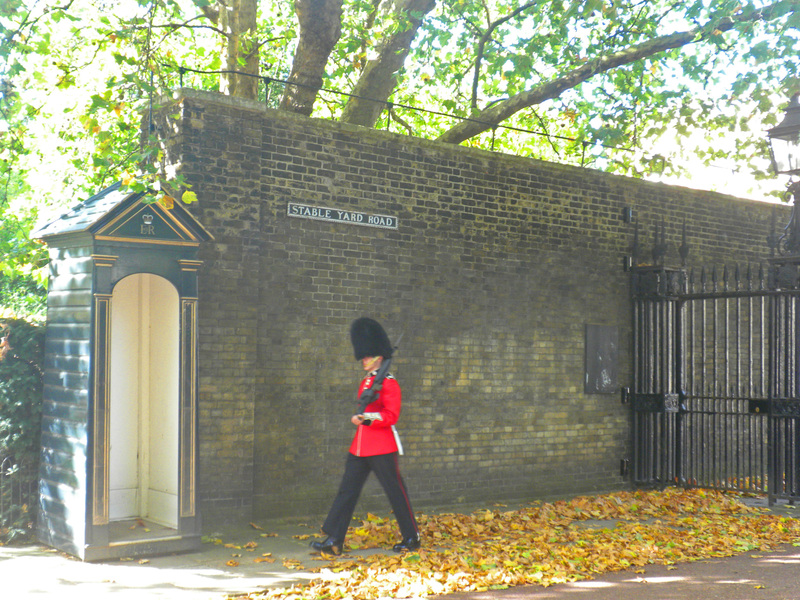 We did see two guards patrolling a side entrance. One of them was slipping in his shoes and Rebecca saw him crack a smile. After a while we were getting hungry so we were trying to find a pub to get some food. Here is Rebecca being helpful and looking at the map. Todd is also being helpful by practicing his King Fu. We really lucked out and found a great little pub that was not at all crowded to have lunch. I finally got my fish and chips and it was fantastic. We lingered for a while having drinks and staying warm before moving on. 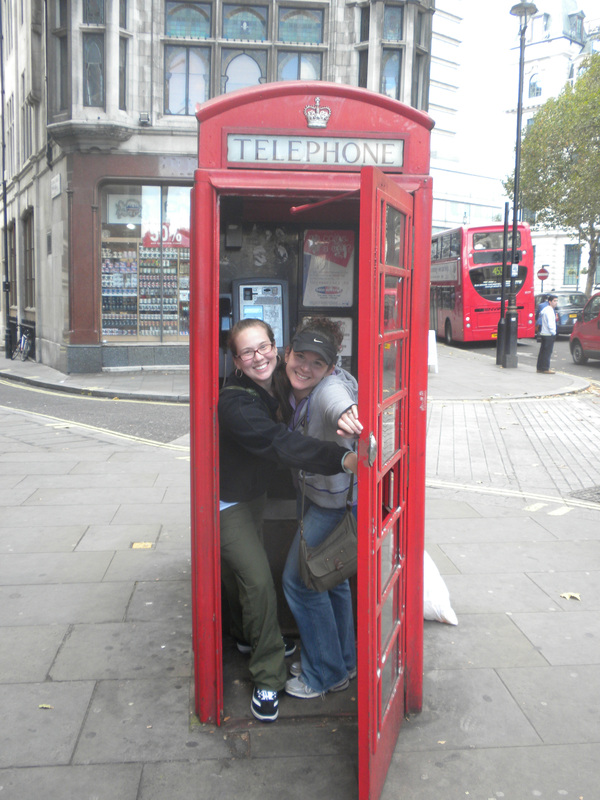 The London phone booth photo was a must. 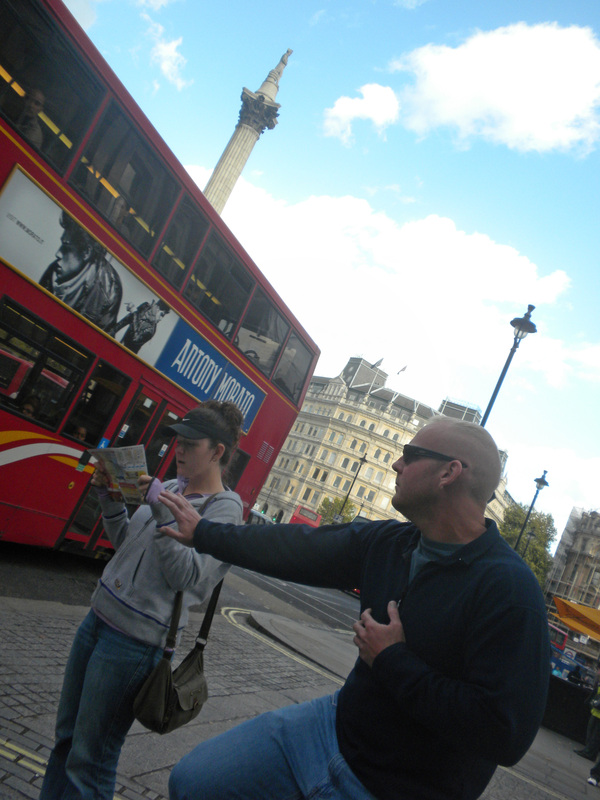 When we were in Trafalgar Square we witnessed a fight between a drunk guy wearing a bobby hat and a backpacker. Apparently the fight was over 20 pence and the guy in the bobby hat was super pissed. Lesson learned: don’t drink in public, and nobody looks good in a bobby hat. 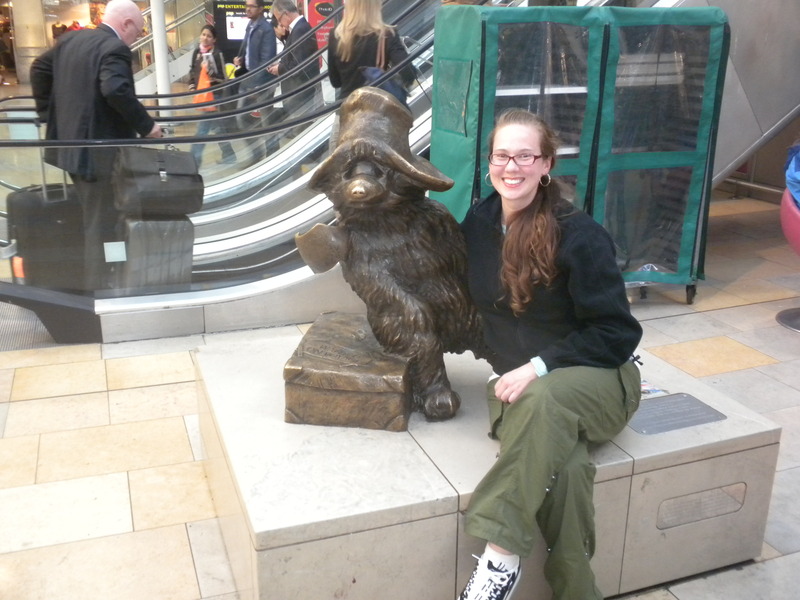 Our last stop was Paddington Station to see the statue of Paddington Bear. Do you remember reading the Paddington Bear stories as a kid? If you don’t here is a little background: A bear from Peru is found in Paddington Station with a tag around his neck saying “please look after this bear”. A family finds him and the adventures begin. 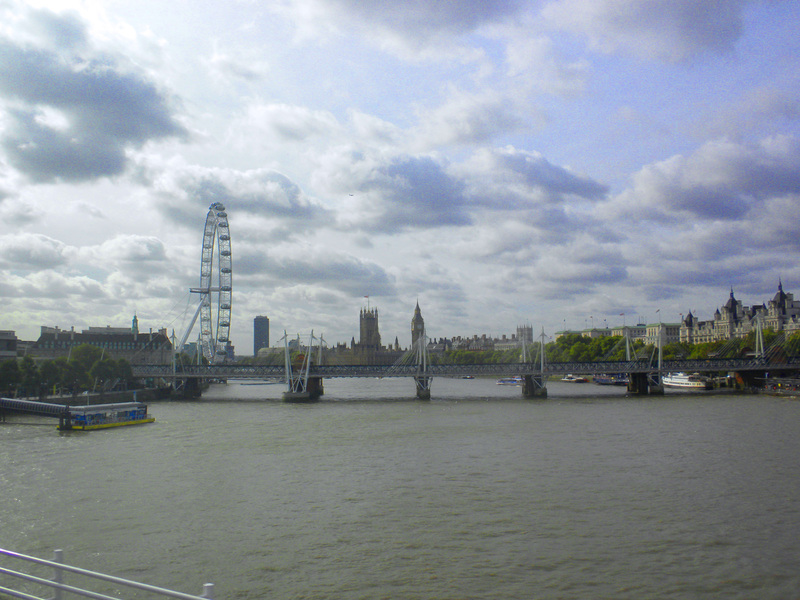 One day in London was not nearly enough. I cannot wait to go back! Tomorrow is Bath and Canterbury! This entry was posted in Uncategorized and tagged Chunnel Challenge 2011, England, London, Travel. Bookmark the permalink.